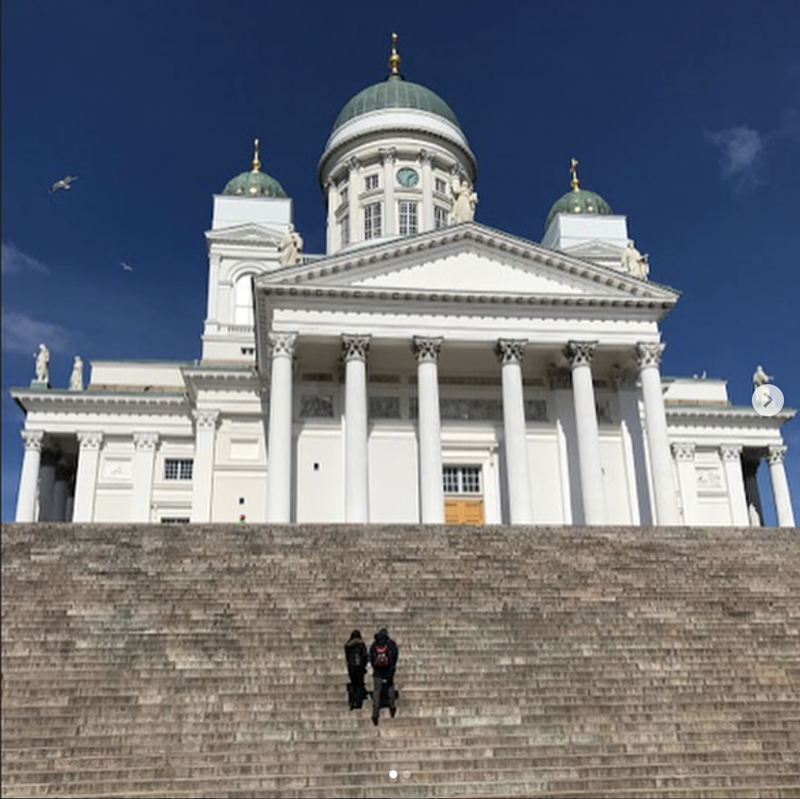 So I've been visiting Finland for almost two years now and it's safe to say it's now my second home. I fell for the Scandinavian way of life as soon as I landed. Taking in a deep breath of fresh Finnish air as you step off the plane is an invigorating experience. While I'm still finding new places to visit in Finland, I spend most of my time between Espoo and Helsinki whenever I visit there. Over the last two years I've found many interesting places that are now regular stops when in town. I've decided to list my top 5 favourite things to do and will maybe add a second part to this post in the future. After spending a few days in Finland I quickly realised how important saunas (pronounced 'saow-na') are to the Finnish. Most, if not all, homes in Finland have a sauna and there are still a few public saunas left to experience. The first time I experienced Finnish sauna, the heat literally took my breath away! It was so hot! However, the more saunas I had, the more I came to appreciate them. 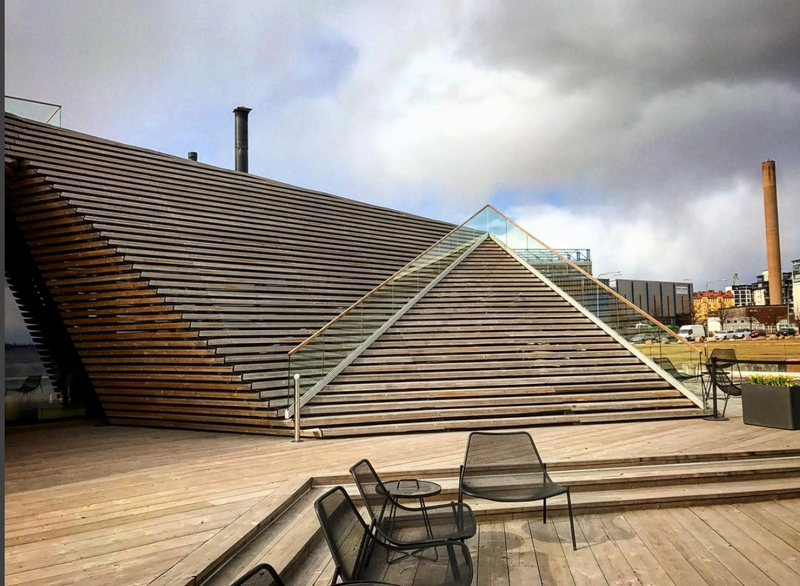 Last summer, I treated my partner and myself to a sauna at Löyly which is on the sea front in downtown Helsinki. Co-owned by the Finnish actor Jasper Pääkkönen, the architecture is a stunning wooden structure and really show the Finns have style. The sauna has 2 separate saunas as well as a bar/restaurant and an outdoor seating area where you can relax between saunas. This is also the place to take a post-sauna dip in the (usually freezing) sea, as is tradition in Finland. The saunas are for both men and women so you stay clothed and can go into the saunas as often as you wish. The Finns love their saunas so expect them to pour plenty of water onto the sauna to increase the heat and release the loyly (Finnish for steam that rises from the sauna stove). We treated ourselves to a second visit there this past summer and had a wonderful time. We often stop by just to take in the view (you can go onto the roof and get an amazing view of the sea) and have a drink. It is definitely one of Helsinki's hotspots, as it is always quite busy. 1. Pre-book and get a time slot, it gets very busy and booked up quickly. 2. We went in the summer but have also been when it's a bit cooler. A visit any time of year is enjoyable. 3. Remember bathing clothes are necessary so bring swimming shorts/bathing suit/bikini. Towels are provided. 4. There is a small store selling t-shirts, tote bags and other items. I'm not sure if they still use it there but the lingonberry shampoo in the showers is AMAZING. 5. Bar and restaurant are a bit pricey but a nice long drink by the sea is always a treat! The only thing the Finns love more than their saunas is coffee. They love it and drink a lot of the stuff. I wasn't a coffee drinker until I visited Finland. Like tea-loving Brits, Finns treat coffee as an important part of everyday life and there are plenty of coffee shops to enjoy. 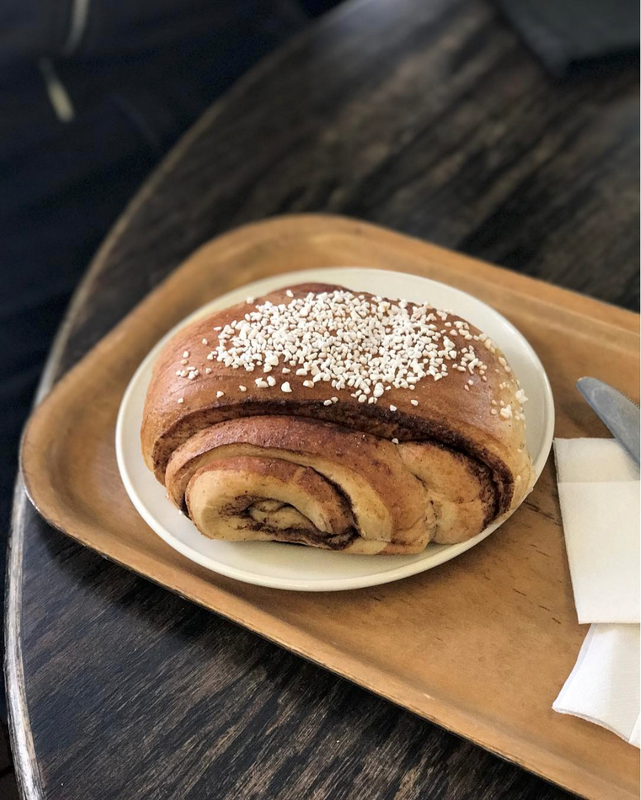 As much as I love a musta kahvi, the real reason I love the Helsinki coffee shops is the cinnamon rolls. They're delicious! The first coffee shop I visited in Helsinki one grey afternoon in January 2017 was Cafe Succes, which is a cute little place near the harbour. Another great, more modern coffee shop is Cafe Carousel a few minutes walk from Loyly on the water front. Both offer great coffee and cinnamon rolls as do most coffee shops in Helsinki, it's well worth trying as many places as you can, you'll soon discover you're own favourite. Top tip: The cinnamon rolls are HUGE! Prepare to share! OK, so, as a graphic designer, one of the biggest impacts Finland has had on my life, aside from my family life, is the design. It opened my eyes to Scandinavian design and all its beauty! I've always loved a clean, minimalistic style, but having been surrounded by stunning design in Finland, Scandinavian style has become a part of my every day life. 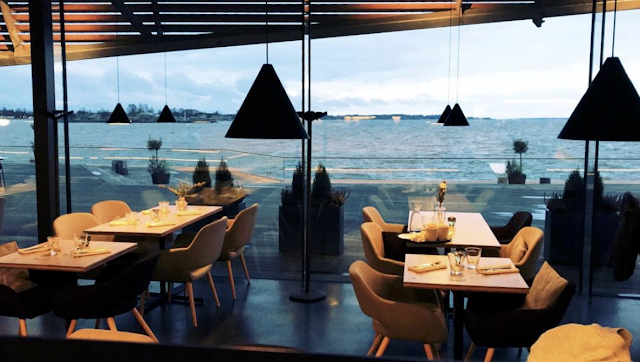 Helsinki has it's own design district where you can find a number of design shops, from fashion, home furnishings to book shops. Of course, there are galleries and exhibitions on in Helsinki all the time but you only have to keep your eyes open as there's no shortage of gorgeous design on the streets of Helsinki. Store fronts, tram-stop advertising and branding all showcase the Finnish design style. The best known Finnish design stores are Marimekko, Ittala and Arabia, all are beautiful. You'll see the Marimekko tote bags everywhere in Finland! 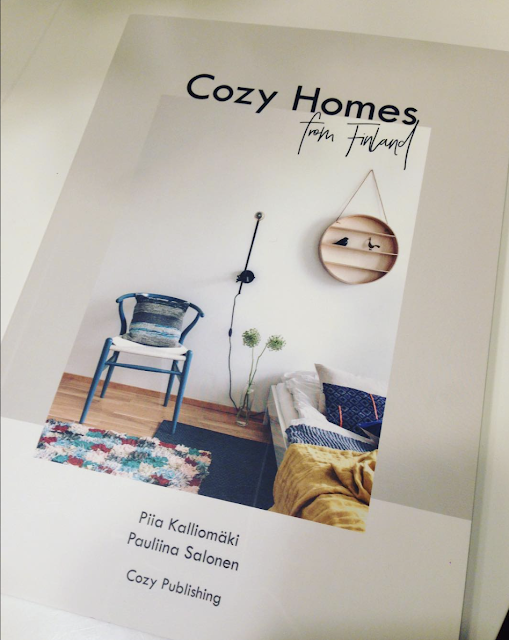 The interior design and architecture in Espoo and Helsinki are gorgeous. I've bought many books about Finnish interior design in some of the pop-up shops that are in Helsinki that offer the latest in design for the home. Espoo Museum of Modern Art (EMMA) is the nearest art gallery when I'm staying in Espoo and has a great selection of Finnish art and design, housed in a great space, with a coffee shop and art store. You'll get to sit on one of the famous 1960's Finnish bowl chairs designed by Ero Aarmio in the lobby. Top tip: Get one of the Design District maps from any of the stores in Helsinki and soak up the design! 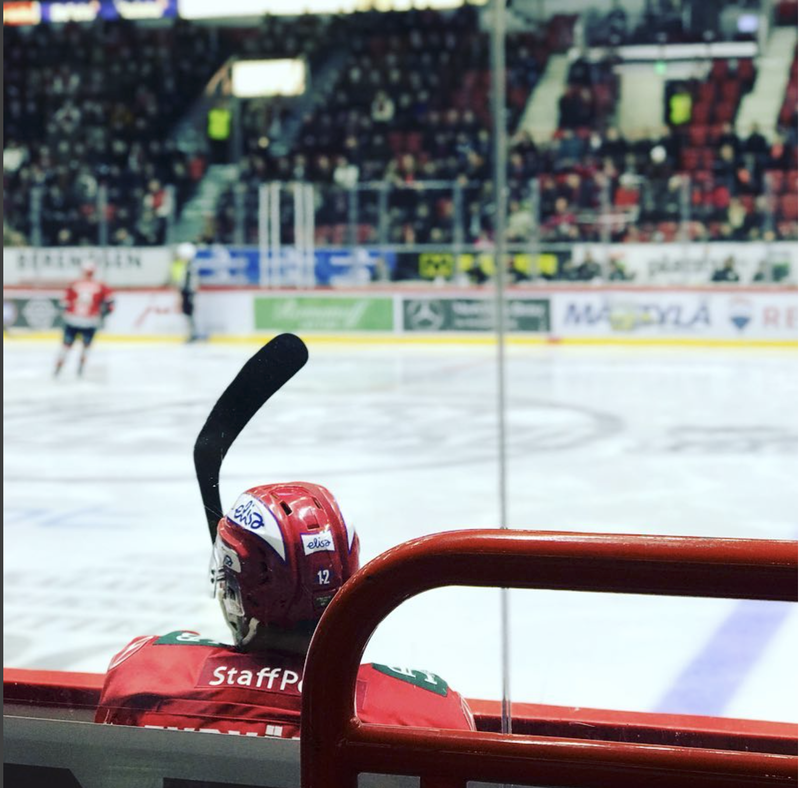 My first Ice Hockey match was last January at Helsinki Ice Hall, Helsinki vs. Turku. I'm not a massive sports fan, I'll watch Moto GP and Wimbledon but that's about it. Knowing Ice Hockey is a big deal in Finland, I wanted to see what a match would be like so we went to a game to find out. We had great seats, just behind the area where the Helsinki team were positioned. The game was fast-paced and quite exciting. I didn't know the rules, but I could easily follow the game. A few fights broke out between players which was entertaining and the whole thing was a lot of fun. Since then, I've been to see the local Manchester team, Manchester Storm, play a few matched. It's not on the same level as in Finland in terms of production but is a new found interest. Top tip: The game season is September through to April if you want to catch a game. Last but not least, one of my favourite things to do in Helsinki is a tram ride. Public transport in Finland is easy and convenient, you just need a top-up card and you can use any of the public transport (bus, train, metro, tram) making getting around incredibly easy and convenient. The best way to see all of Helsinki is by tram is the tram lines run past all the major attractions. Give yourself half an hour or so and you'll get to see a lot of Helsinki. Sometimes when we wanted to just sit and see the city we would take a tram from outside the main train station and take a tour of the city. Finnish transport is modern, punctual, clean and very comfortable. Forget an open top bus tour, take a tram! Top tip: Depending on how long we're visiting, we either get a 7 day top-up or you can get a 24 hour top up if you're staying a shorter time. The HSL app is the easiest way to go and it's not too expensive to use public transport. Last December I went to see the My Name Is Prince exhibition at the O2 in London. The last time I'd been to the O2 was back in August 2007 to see Prince during his '21 Nights in London' residency. That night I got to see a 90 minute show in the main arena followed by a 90 minute after show party at the small Indigo club. It was definitely a night to remember. I was now back to have a close look at some of his personal items from his career including instruments, clothes and artefacts. 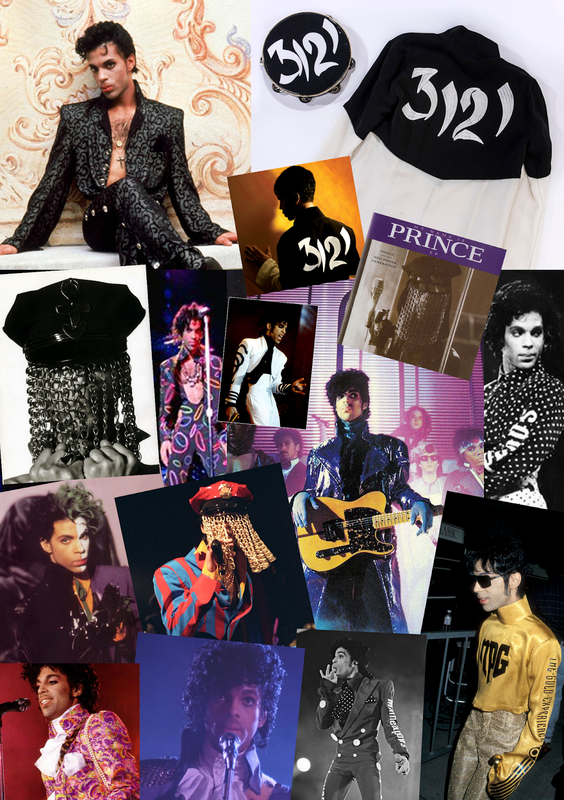 The experience was bitter sweet: the only time I got to see Prince's clothes and instruments was when I saw him in concert. This time, he wasn't there. One of my favourite things to do when visiting my family in Finland is taking the dogs for a walk around the Espoo neighbourhood. When I first went to Finland I met Gapu (9) who was a permenant member of the family and Vauhti (3) who was being trained to be a guide dog. Vauhti would go back to the guide dog school for periods of time and then spend time with the family the rest of the time. Vauhti passed the guide dog training test earlier this year and was subsequently homed with a visually impaired person. If the dog does not pass the test after a year, they are not taken on as guide dogs and are homed with families. The family has worked with the Guide Dog school http://opaskoirakoulu.fi/?lang=en since 1999 when they adopted their first dog, Cola. I'm Richard, a graphic designer based in the North West of England. I love travelling, music, movies and collecting things. I live with my Finnish partner and we share a passion for motorbikes and labradors and we split our time between England and Finland.